Over the last few months, I’ve become a little slack in the blogging department. But what better way to get back into writing, than to answer a competition question from TrekAmerica? 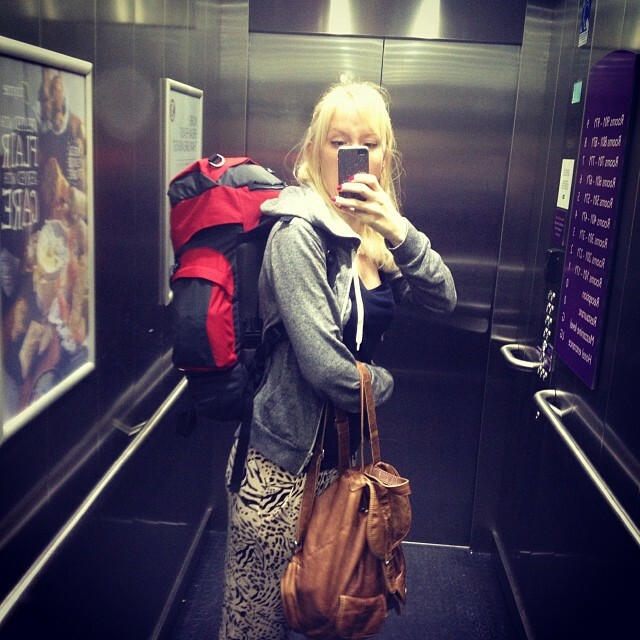 Ok, so, in 2013, I spent the majority of the year living out of a suitcase/backpack for countless, weeks, weekends and months during my training, working and travelling. 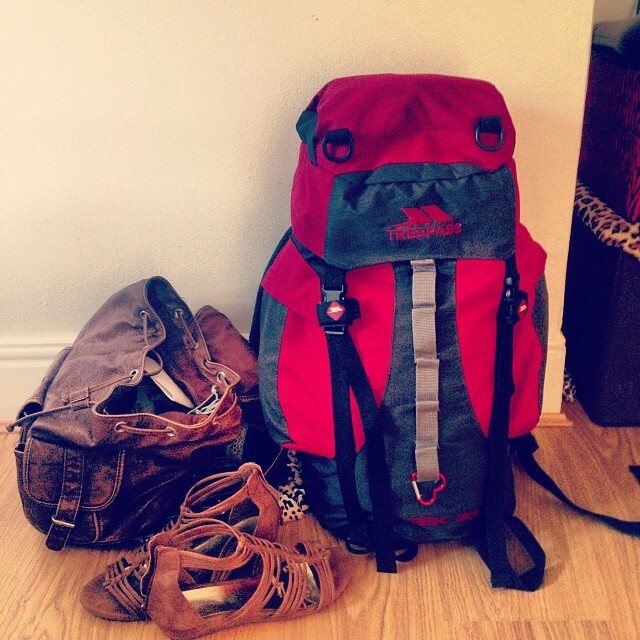 When it comes to packing light, I have definitely learnt the difference between essentials and excess. Before packing for a weekend, its important to consider various factors. Your destination, the climate and what your planned activities are, then you can base your entire wardrobe around these. But what do you put in your case? No matter where you go, you will need a raincoat. It rains EVERYWHERE. Investing in what I like to call, a mum jacket, will save some really sad moments when you’re completely wet through. It’s honestly a lifesaver! Or pack a poncho, just as cheap, and easily accessible on eBay. A dress. Always. Dress it up for an evening out, dress it down when you’re sightseeing. I’m sure you don’t need fashion tips! A couple of good tshirts/tops. Once again, something you’re comfortable in, but something you can also dress up in the evenings. Skirt/Shorts. Depending on your destination, you might want to trade these for leggings/jeans. I like to take a bag in addition to my case/backpack. Something that is big enough for daytime to fit the majority of your essentials in, but something you can also use on a nightout. Cover all your grounds! Remember, most accommodation these days will always provide a towel. Why waste precious space?! And not forgetting the all important ‘essential’ checklist! Underwear & Socks. Take more than you think you even need. Loads of it. Can’t go wrong with it! Toiletries. There are these genius little mini travel toiletries these days. Why weigh yourself down with full size bottles? Don’t forget that all important bottle of travel wash. Stay fresh. Makeup. Keep it basic! 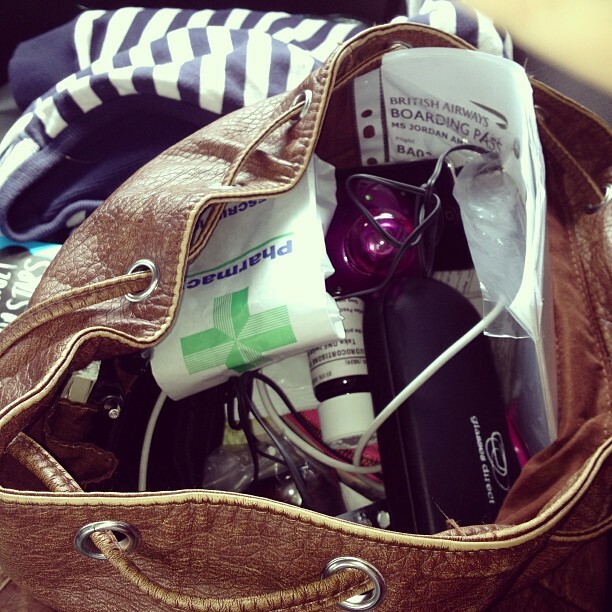 Unless you can’t live without your entire makeup bag, take the whole thing. We’re not judging ladies! Camera. You don’t need an explanation! But don’t spend your entire time staring down a lense. Talk to the locals! Learn more about their culture and where you are. Ipod/Iphone! Communication and music. Chill central. Don’t spend you’re entire time on Facebook though. Pen & Paper. For me, I love to bullet point my entire day in the evening. You can’t forget anything in years to come that way. Chargers/Spare Batteries. Cameras/Iphones/Ipods. All needed. Passport/Travel Documents. You aren’t going anywhere without these bad boys! There are obviously hundreds of different items you could take away with you, that you could adapt for any situation. But most importantly, take a sense of adventure, be open minded, and get completely stuck in with the new culture, and way of living. The best way to see a place, is to discover places off the unbeaten track and speak to locals, and you’ll have the trip of a lifetime. Enter the TrekAmerica competition yourself here. What can you not travel without? Let me know!